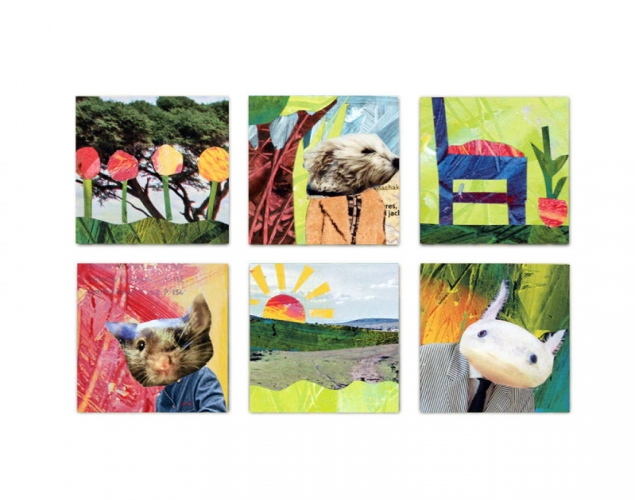 Students use acrylic paint to create textured papers and use them to collage 6 small squares that represent characters or settings to be used for telling stories. Choose 3 magazine pages with colours you like. Paint over the pages with acrylic paint. 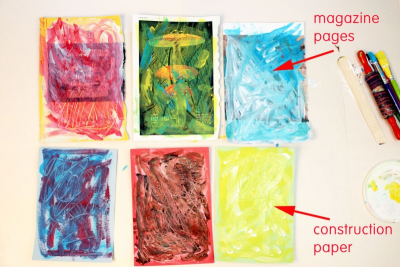 Let some of the paper show through the paint. Scratch into the paint to create different patterns and textures. 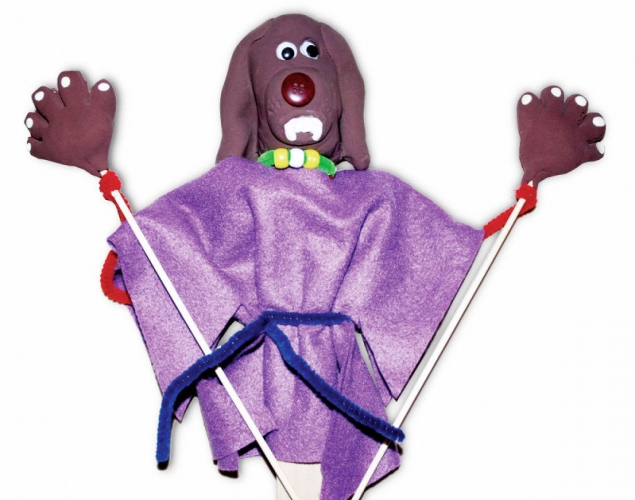 Choose 3 pieces of coloured construction paper. You should have 6 new papers to work with. 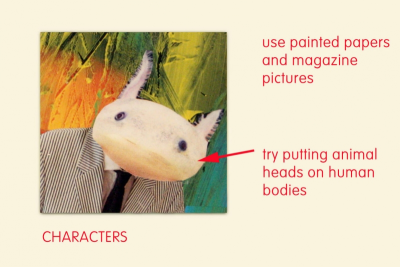 Use the painted papers and magazine pictures to make 3 character cards. Try putting animal heads on human bodies. Add details that help tell us who the character is and how he/she might act. Make sure all the papers are glued down smooth and flat. 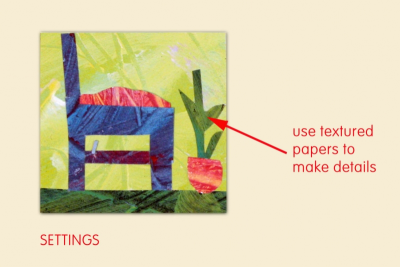 Use the painted papers and magazine pictures to make 3 setting cards. Add details that help tell us where the setting is and what it might be like there. Place your cards beside each other. Decide on names for your characters. Practice telling your story so you can share it with a partner. video each other telling their stories. Gather and make available a variety of story books, for example, A Year Full of Stories: 52 classic stories from all around the world, by Angela McAllister, and Christopher Corr; The Land of Stories: Worlds Collide, by Chris Colfer; The Story Orchestra: Four Seasons in One Day: Press the note to hear Vivaldi's music, by Jessica Courtney-Tickle; Where The Wild Things Are, by Maurice Sendak; and The Paper Bag Princess, by Robert Munsch, and Michael Martchenko. Download and display the Colour, Texture, and Contrast posters available on this website. Gather a variety of magazines - National Geographic are especially good for this activity. Cut a variety of colours construction paper into half sheets - 15.2 cm x 22.9 cm (6" x 9"). Read a short story to students without showing any pictures and ask them to imagine what the characters look like as you read. Share impressions of the characters. Discuss how details help bring the story to life. 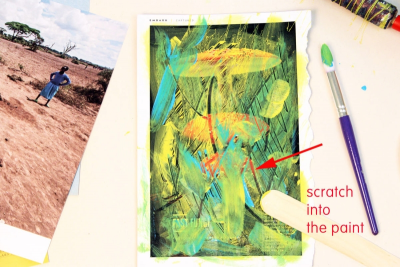 Create 6 textured papers with acrylic paint. 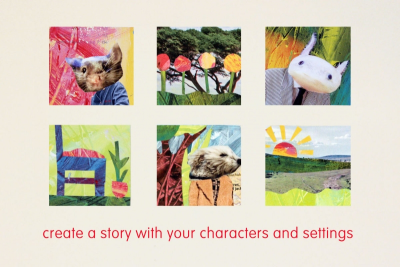 Create 6 story cards using collage technique. Make up and tell a story using the story cards as props.